The combined Likud coalition with Yisrael Beitenu only got about 31 seats (the Israeli parliament has 120). Netanyahu is convinced that he will still be able to cobble together the 61 seats needed, at a bare minimum, for a majority in the Knesset. This outcome, however, is by no means a sure thing. Even if he can win a third term, his government will be fragile and deeply divided. The 20% of Israelis of Palestinian heritage do not usually vote in larger numbers. They face so much discrimination that it is hard to convince them that anything good can come from an Israeli election. 4 million Palestinians living under Israeli control could not vote in these elections. … Israel has annexed the Palestinians but is keeping them stateless. There is no other country in the world engaged in so cruel an enterprise. 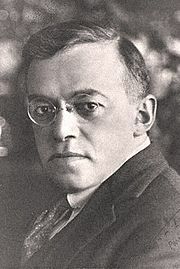 Jabotinsky was an anti-authoritarian individualist as well as a defender of an authoritarian Zionist (tribalist) state. You could call him an ANARCHO-FASCIST. Anarcho-Fascism: A political philosophy which believes that an Anarchic society, in the absence of publically recognized government or enforced political authority, can and should be brought about through a harsh authoritarian state. It is believed that since the people cannot be trusted to come to this freedom on their own, it must be imposed on them by the state. In the beginning, God created the individual. Every individual is a king equal to his fellow. It is preferable that the individual sin against the society than the society sin against the individual. The instinctive ideal of man is a serene anarchy. As long as this ideal cannot be realized, democracy must be recognized as the form closes to the ideal. An individual – this is the supreme concept, the highest value, that which was created “in the image of God”. Jabotinsky thought that Jewish justice overrides Palestinian rights, and he was the first to warn the Zionist Movement that the clash between Jewish and Palestinian nationalisms is inevitable, and it should not be ignored. He advocated the use of force to curb the inevitable clash and to keep it at bay, instead of negotiating with the Palestinian people to resolve this issue. 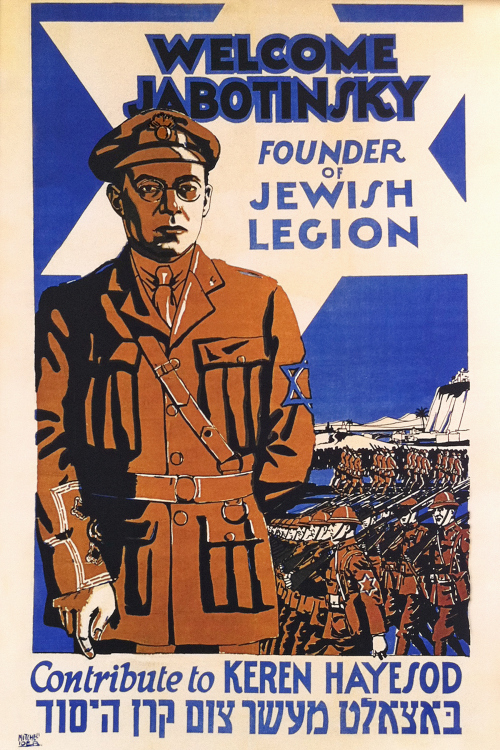 Jabotinsky’s IRON WALL doctrine caused many Zionists to brand him as a fascist in the 1920s. However, as the Nazis rose to power in Germany, Ben-Gurion and other Zionist leaders recognized the “importance” of Jabotinsky’s doctrine. Ironically, the Israeli Political Right’s arguments dictated Israel’s policies toward the Palestinian people from the 1930s to the present day. This doctrine has dictated a continuous state of war between the Jewish state and its Arab neighbors. Dit bericht werd geplaatst in Anarchism, Bible, History, Holism, Honesty, Human Rights, Humanism, Imperialism, Islam, Israel, Life, Middle East, News, Politics, Religion. Bookmark de permalink .